Last month, Sony invited small studios and indies from across the UK to its London HQ for the inaugural PlayStation Open Days. The two-day event served as an introduction to both the company’s platforms and its licensed developer programme, with Sony’s publisher and developer relations team talking studios through the process of signing up to develop for PlayStation. The feedback from attendees has been “overwhelmingly positive”, according to senior account manager for development Agostino Simonetta. And Sony has taken on board calls for similar events outside London. “We had a fantastic response from all the studios that came along,” he told Develop. “We’ve been asked to do another event in our office again, but some developers involved with local organisations have also asked us to do a roadshow. We’ve been asked to go to Scotland, the South West, the Midlands and more so we can host Open Days all around the country. Simonetta went on to say that Sony is considering running these events on a quarterly basis in London, with supplementary regional events if there is enough demand. For its first PlayStation Open Days, Sony focused on introducing new studios to how its platforms, tools and developer relations team works. Going forward, it’s keen to explore other topics that will help studios grow their business – even if that means developing for rival platforms. During the Open Days, Sony reminded studios that registering as a PlayStation licensed developer is actually free of charge. 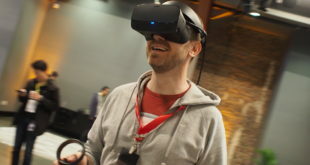 Not only has the platform holder seen a positive impact in terms of attendees signing up, it also believes word of mouth from those studios has led to other companies registering as well. The whole thing has boosted Sony’s confidence about how it approaches games developers. “This was a confirmation that the open approach we’re taking is actually the right direction,” said Simonetta. “We know that PlayStation being an open platform force of publishing is the right approach.